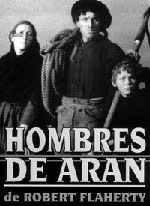 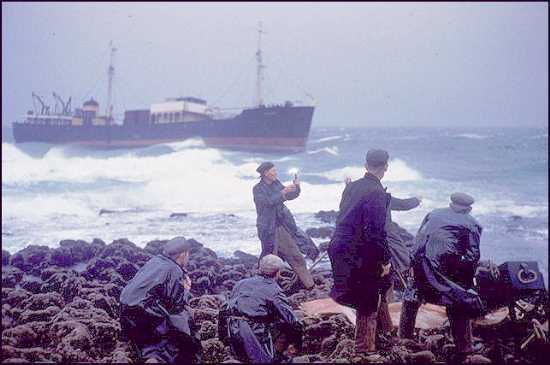 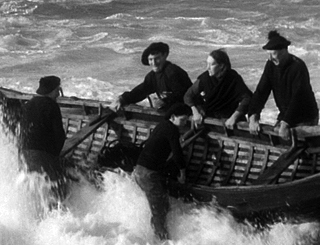 "A masterpiece of dramatized documentary, Man of Aran depicts the daily life of a fisherman family on the rugged, windswept island of Aran off the west coast of Ireland. 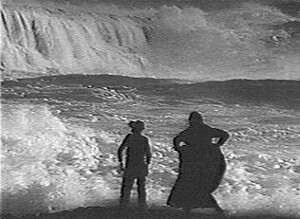 Though Flaherty �scripted� elements of his film (the family is not an actual family, but one the director put together), the result is a timeless and authentic document of the relationship between man and nature." 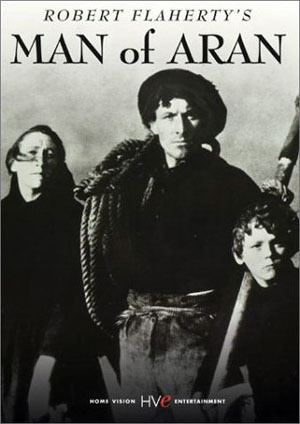 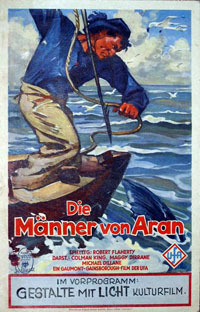 "Following the same ethnographic instincts that lead to his first film, the silent classic Nanook of the North (1922), Flaherty sought to portray not so much a document of Aran in the 1930s as an archetype of man's ancient struggle to survive"
"For the last 200 years the Aran Islands have exercised a powerfully romantic fascination on the outside world which is without equal anywhere else in the country. 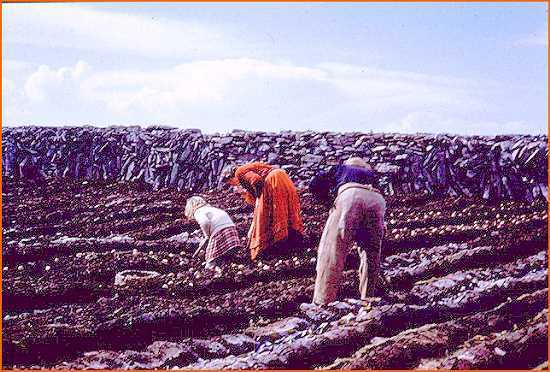 They were believed to contain the essence of the ancient Irish life, represented by a pure uncorrupted peasant existence centred around the struggle between man and his hostile but magnificent surroundings. 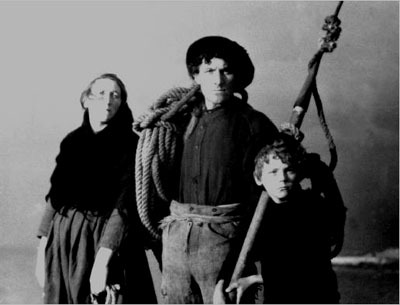 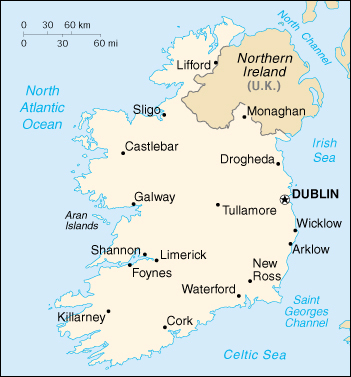 This myth, strengthened by the writings of Yeats and especially Synge was hugely expanded by the release in 1934 of Man of Aran, a documentary on the life of the Island people."